Whatever the time of the year, whichever sport was in season, Wayne Rasmussen was among the state’s finest talents. Rasmussen first displayed his rare ability at Howard High School. Then at South Dakota State University he earned all-North Central Conference honors in football, basketball and baseball. Chosen by Detroit in the 1964 National Football League Draft, the 6-foot-1 and 180-pound Rasmussen enjoyed a long career as a defensive back for the Lions. Rasmussen was all-state in basketball two years. 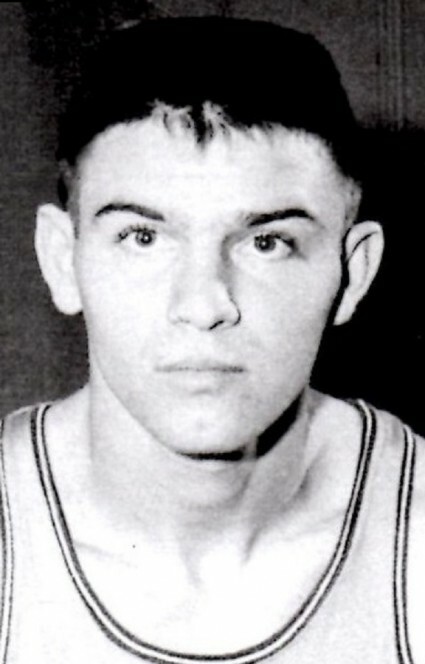 He led the Tigers of Coach Ed Wickre to the Class B state tournament in 1960. He also was all-state in football two seasons, competed in track, and was a baseball standout. 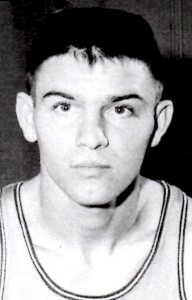 South Dakota State won the NCC championship when Rasmussen was a junior in 1963. The Jackrabbits then captured the NCAA College Division national title in Evansville, Ind. Rasmussen totaled 56 points in the three games and was named MVP of the tourney after SDSU downed Wittenberg (Ohio) University 44-42 in the finals. Rasmussen was all-NCC twice in basketball playing guard for Coach Jim Iverson. He was all-NCC once in baseball, hitting .323 during his best season. He earned nine letters. In football he played both ways as a defensive back and record-setting receiver. He was named all-NCC two years and was NCC most valuable back as a senior. The Jackrabbits claimed NCC titles under Coach Ralph Ginn during each season Rasmussen starred, going 8-2, 7-2-1 and 9-1. Detroit selected Rasmussen in the ninth round of the draft. He was with the Lions during his entire time in the NFL from 1964-72. Rasmussen became the 15th player in franchise history to play in 100 career games. A Jackrabbit Sports Hall of Fame member, Rasmussen was also inducted into the South Dakota Sports Hall of Fame. Rasmussen is retired and lives with his wife Glenda at Brandon. Children are Wade, Jay and Casey.